This section features a number of Frequently Asked Questions (FAQ). Please feel free to call or e-mail us with your questions or comments. Q: Why not just purchase my wine at the LCBO? A: Making your own wine is not only affordable and fun, but it's also easy. We do most of the work for you. You are required by the regulations governing our industry to mix the ingredients when you first order the wine. This takes less than 5 minutes. You then return in 4 to 6 weeks (depending on the wine you have selected) to bottle, cork and label the wine. 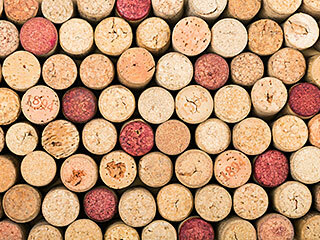 A batch of wine will generally take no more than 25 minutes to bottle, cork and label. A: You may re-use old wine bottles, or purchase them from us. Any size of wine bottle is fine as long as it has a standard opening that will fit a cork (most bottles including screw top bottles have a standard opening). The bottles must be clean - we always say "as clean as a drinking class" - when you bring them in. Usually, if you rinse the bottle out when you empty it and store it upside down, that's all you need to do. Then just check them just before bringing them in to bottle to make sure they're clean. The first thing you do when you come in to bottle wine is to sterilize all bottles just before use, even brand new ones. We have an automated sterilizer that will fit most 750 ml (regular sized) wine bottle, or a manual system that can take care of larger or smaller bottles. This process takes about 5 minutes and we will show you how it's done. Q: How much wine does a single batch of wine make? A: About 28 to 30 bottles (750 ml), or 22 to 23 litres of wine. Q: Do I have to make a full batch of wine? A:Unfortunately, yes. 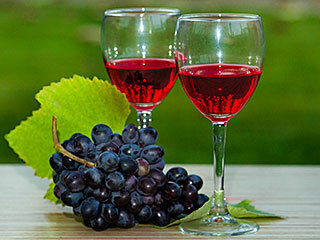 The regulations do not allow us to split batches of wine. 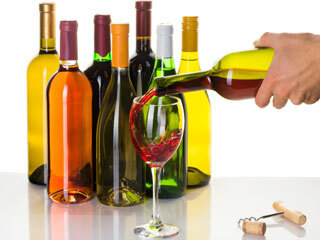 Q: Can I sample some different type of wine before I start a batch? A: Unfortunately, the law does not allow us to provide samples of wine, except for a small sample of your own wine when you bottle it. Part of the reason for this is that our license allows us to sell wine kits and make wine from kits, for other people, but not to sell or serve wine. Since we do not make wine for sale, but only make wine for consumers, there is no wine on the premises that does not belong to someone else. Further, we are not allowed under the terms of our license to serve wine on the premises, including wine samples (except, as previously stated, for a small sample of your own wine when you are bottling it). Q: Do I need an appointment to put on a batch of wine? A: No, you can just walk in during regular business hours and order a batch (and throw the yeast). This takes less than 5 minutes. We will contact you by phone to arrange a bottling date and time that is convenient for you. Bottling takes about 25 minutes.